We LOVED working with Vanessa and Jon! Both Minnesota natives now living in California, they enlisted our help for planning from afar. 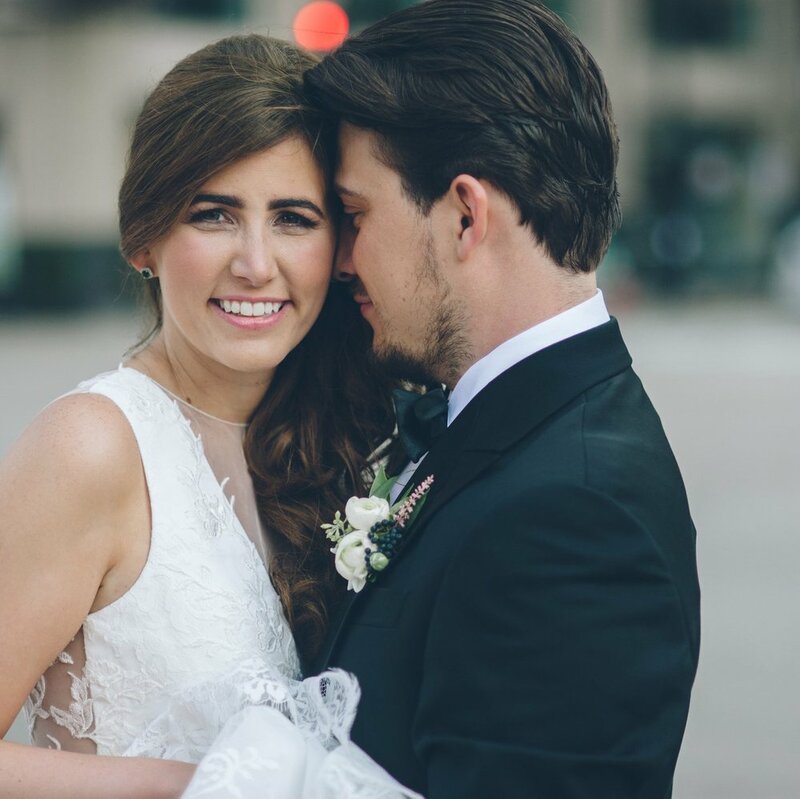 Meg Ann Photography did a beautiful job capturing their bright personalities and their love for each other. They were married on a beautiful June afternoon at Winehaven Wineries near Chisago City. Vanessa kept her accessories simple with pearl bracelets and earrings. Patterned shoes add an unexpected pop! This wedding party is ON POINT. The guys' purple bowties are adorable and the groom is differentiated with a simple black necktie. This trolly is too fun! Hotel guests were transported in style! Vanessa and Jon gave their guests plenty of fun activities to do!